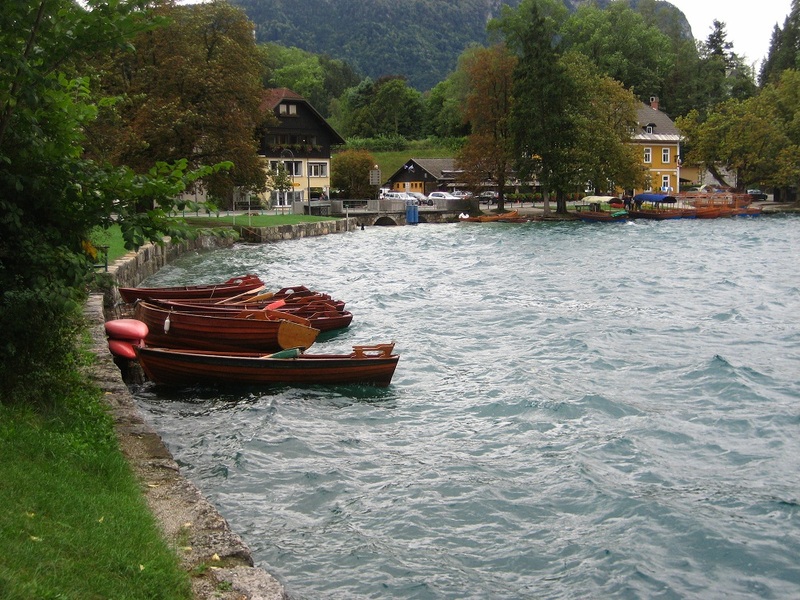 My first day, I walked around the entire lake in the sunny and somewhat chilly weather; it was already late September. It’s a beautiful walk mostly going through shallow woodland along the lake’s shore, until the point when it becomes marred by a hotel and casino strip. 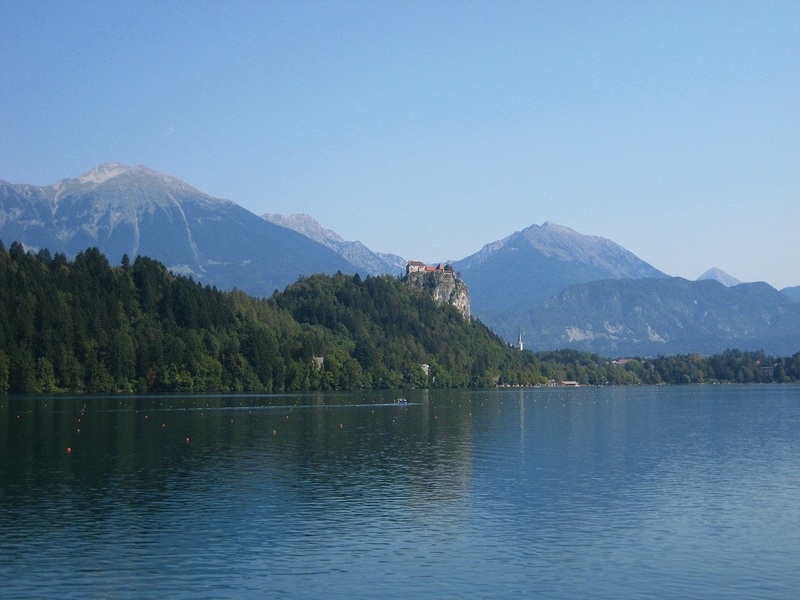 Bled is, after all, a prime destination for wealthy, retired English, and with that comes the task of zigzagging through mini golf courses and small, hastily built shopping centers. 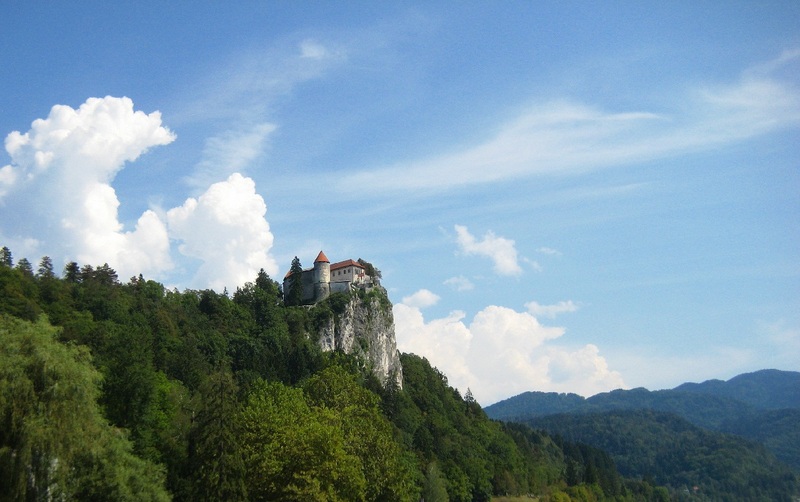 As for Bled itself, it’s a small town with a few tiny, winding streets going up a formidably angled hill, a very typical Eastern European town and still very much a residential one; I passed chickens crossing the road while walking up to my hostel. There was one grocery store and about half a dozen restaurants or cafes hidden around the hostel. The staff told me they did pub crawls all through the summer, but now that it was the off season they’d stopped. Other than the ever-glowing casino strip, there didn’t seem to be much activity in Bled after it got dark. 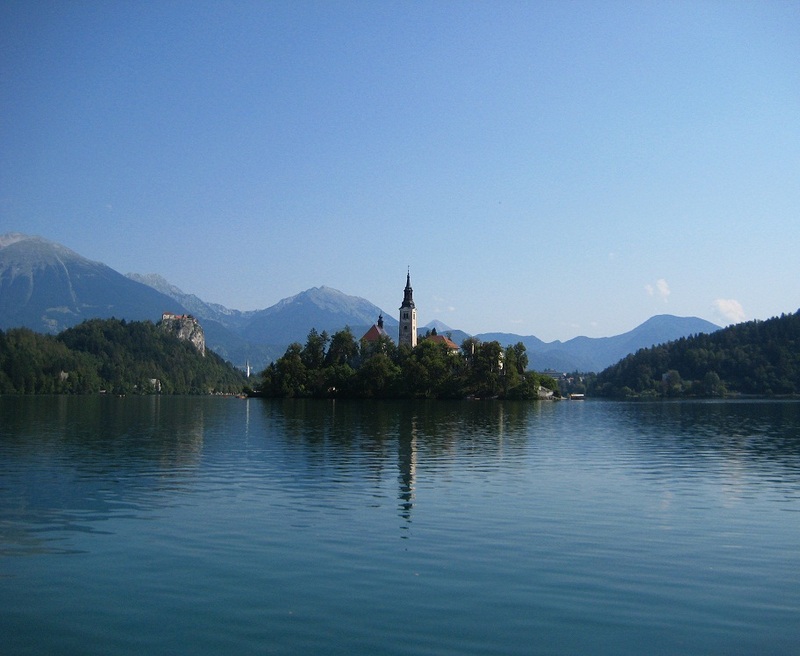 Indeed, I’d come just in time to witness the phenomenon of Bled’s tourist season. Through the summer every hostel is booked solid; the guy who’d recommended it to me said his hostel has dozens of people. And then one weekend it suddenly drops to zero. I was there on that weekend; there were five people in the hostel besides myself: a nice Australian couple, a woman traveling on her own who astonishingly carried only a school backpack’s worth of supplies (“It’s all you really need.”), and a French couple who didn’t bother to hide their affections in the common room. 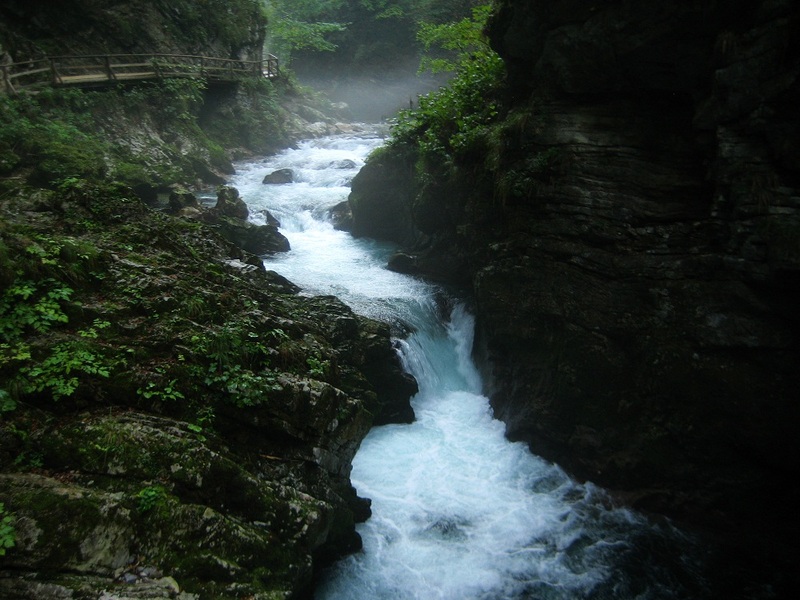 On my second day I did the one thing you must do in Bled: visit the Vintgar Gorge. 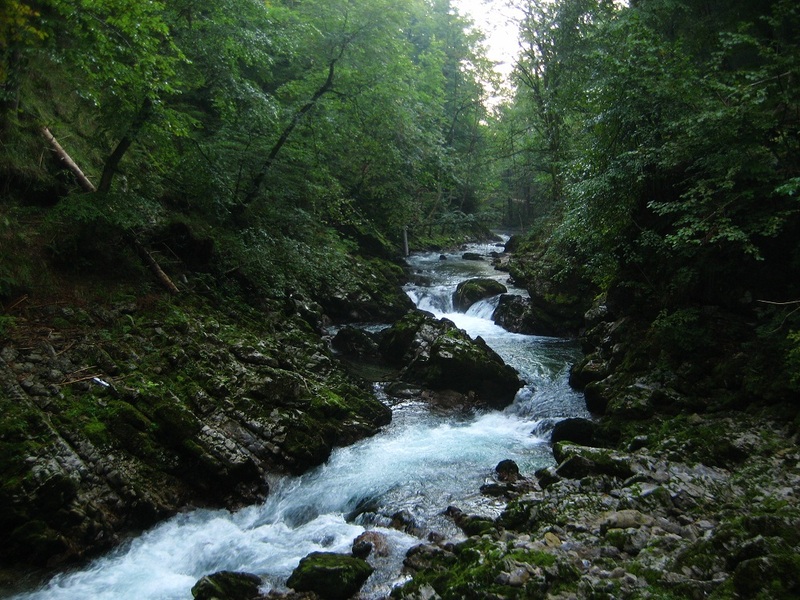 Drizzle fell on and off from the intermittently sunny and cloudy skies as I walked the few kilometers to the gorge, taking in some of Slovenia’s countryside. It really is one of the prettiest. 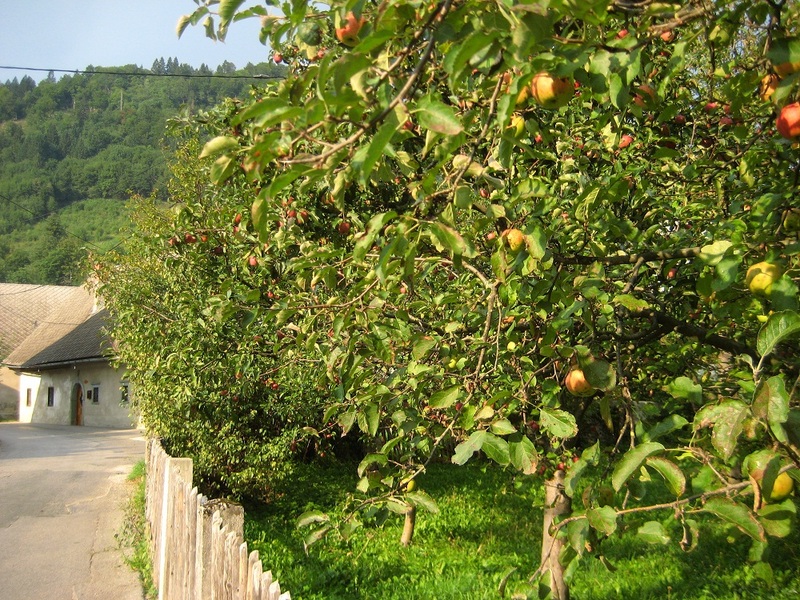 Apple trees are everywhere on its gently rolling hills and fields with mountains in the distance. Everyone’s gardens spill out around houses that hug the ground with short stone walls stubbornly digging in and allowing entry through cute, diminutive doors. 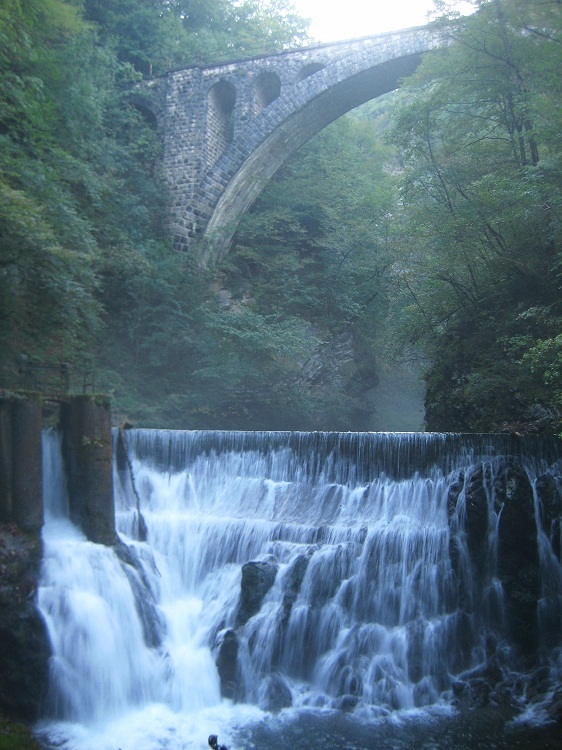 I was lucky to see it when I did, with a veil of mist hanging above the river. 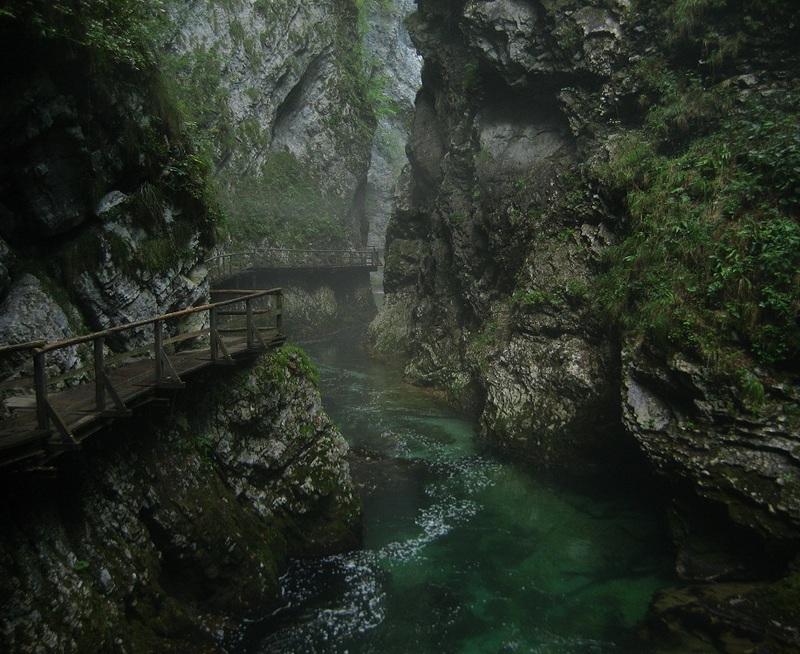 The gorge is one of the most beautiful things I’ve ever seen, on par with Glendelough in Ireland, though it is very different. My photos don’t capture the magnitude of everything surrounding you: the height of the narrow, craggy rock walls and the forest hills that cap them, letting tree roots and vines spill down the sides dotted with grasses and so many wildflowers. 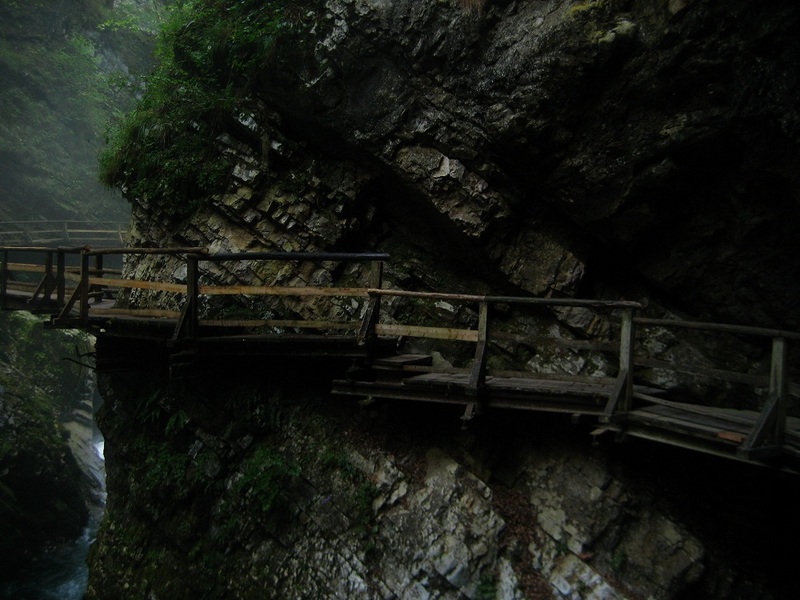 Man has beautified it by building wooden walkways into the walls that sometimes cross the gorge in bridges. It looks like something out of Avatar or The Time Machine. And at the end is a waterfall under a stone bridge, at its fullest after the rain. 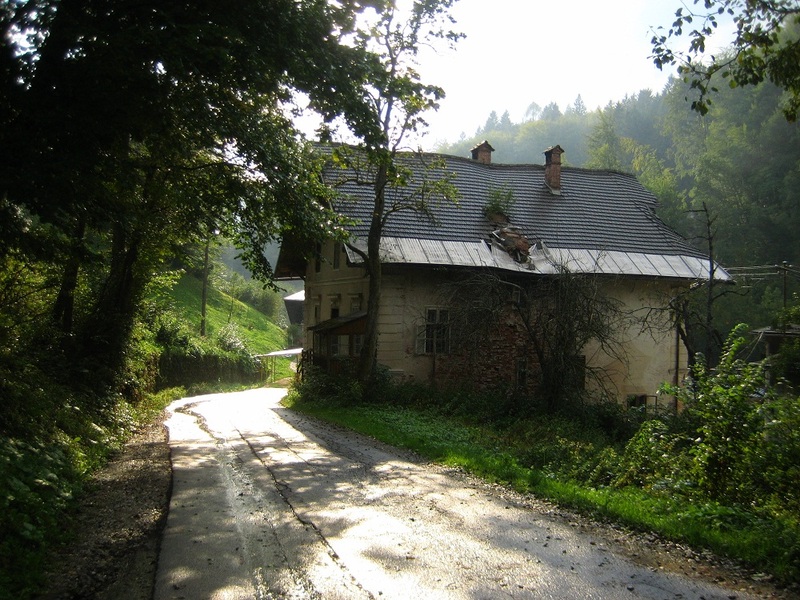 I got lost on the way back, trying to follow signs back to Bled, but somehow, forty minutes later at the end of the twilight hour, I found myself in a new village with no signs for Bled anywhere. I did the only thing I could think of and walked into the bar at the corner, where I met a group of middle aged Slovenian people watching soccer and drinking beer. They immediately clarified that I had gone in the wrong direction and was now in a village off my map. They offered to drive me back. But first, we chatted for an hour and had a beer. One of the women spoke a bit of English and I could understand some Slovenian, and they come Russian. The woman told me people got lost passing through from the gorge all the time, maybe just to make me feel better. Both of her sons were avid travelers, she said, one studying in California and one currently on the road. She tried to help travelers herself since her own sons relied so often on strangers’ kindness. I asked what it was like to live in Slovenia. She answered, “It’s good for the soul (dusha),” and then shrugged with a wry look, which I took to mean that, while it was a rich life spiritually, otherwise the opportunities were limited. The typical conundrum of village life. 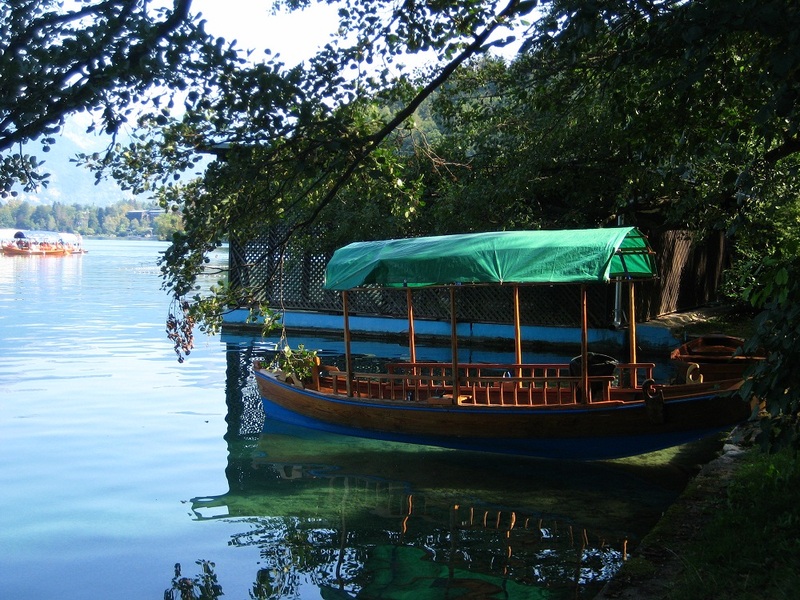 She and her husband drove me back to Bled, refused to let me pay for my beer, and saw me off with a bag of peaches and a huge hug. 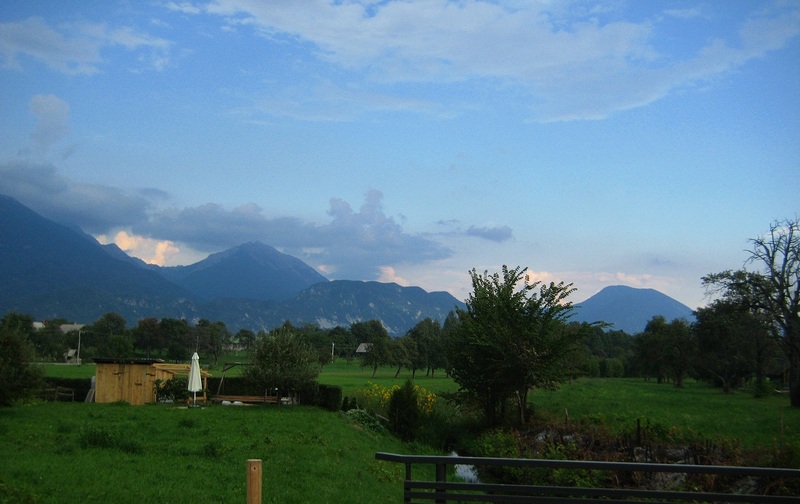 After that night, I found my hostel cold and impersonal, and changed to The Millhouse, in a nearby village called Ribno. With an honesty fridge and a massive table made out of an entire tree that could seat thirty, it was much more my kind of place. 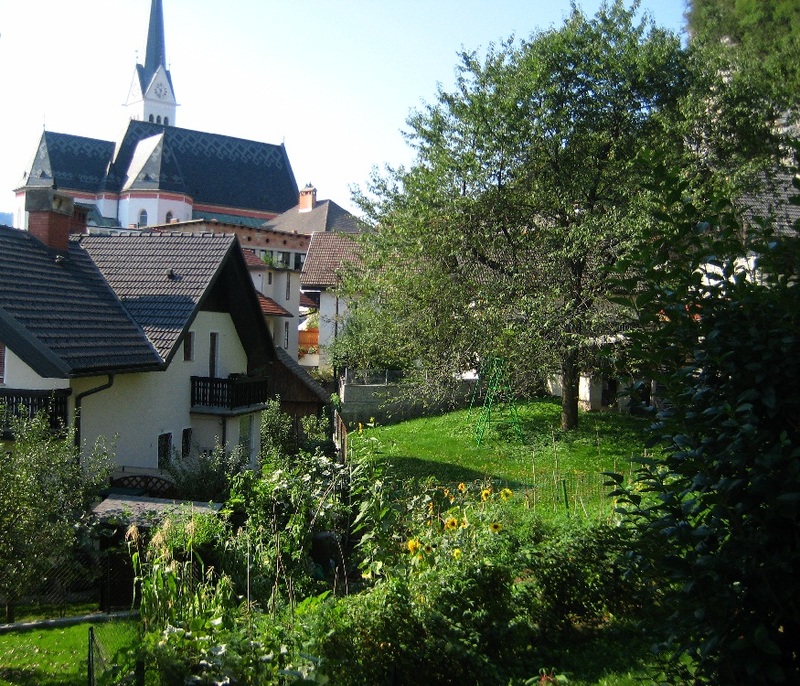 The owners were a foreign couple, Paul and Dorthe, and among the nicest people I’ve met. They, too, were shocked at the sudden drop in guests. 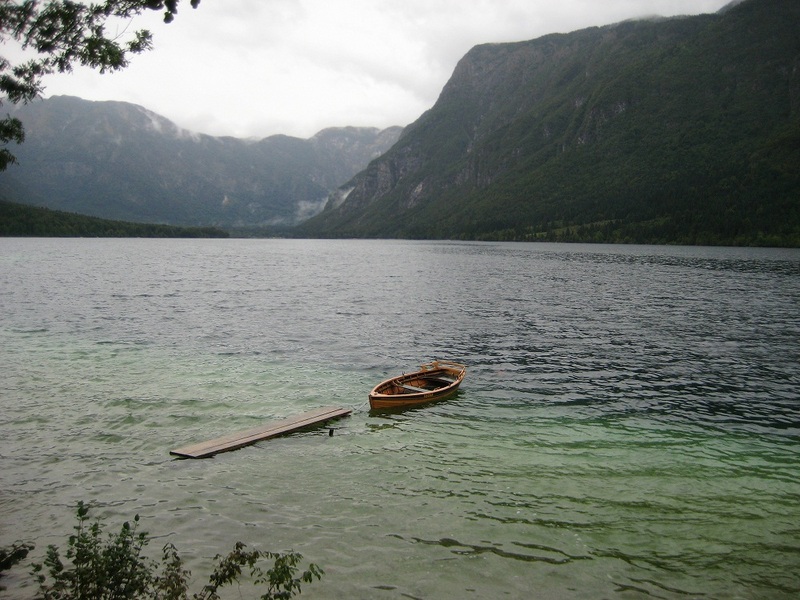 They recommended I go to Lake Bohinj, another glacial lake bigger than Bled and little known by tourists, a short bus ride away. While I had coffee near the bus station waiting for the rain to die down, a group of elderly Slovenian people sitting across from me starting asking about my journal, which was out as usual. 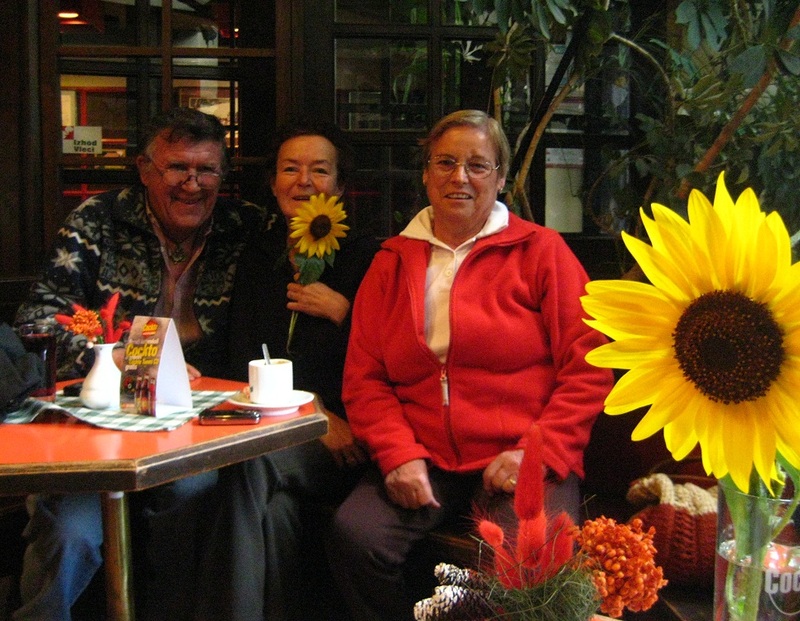 While we talked, the man disappeared for a few moments and returned with two sunflowers, one for me and one for the woman whose birthday was that day. Some of the nicest Slovenian people in existence. 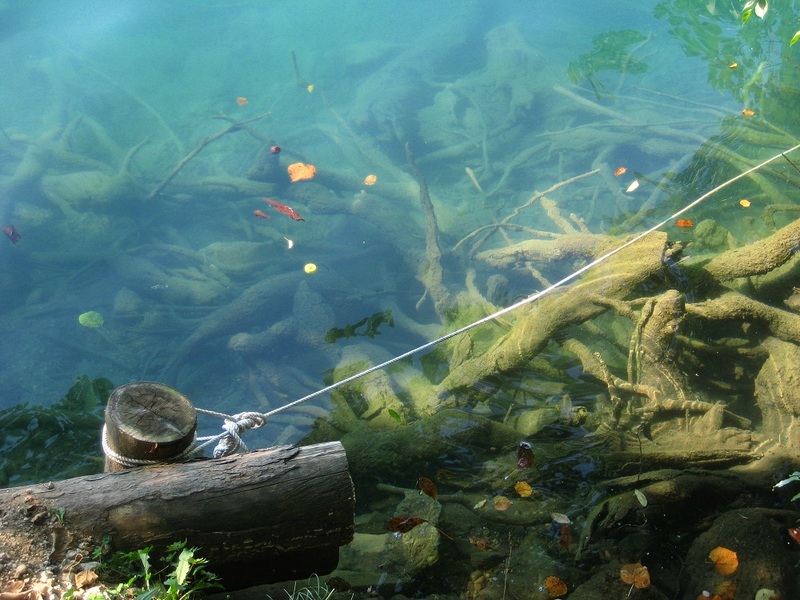 Lake Bohinj was far bigger than Bled, 12-14 kilometers and surrounded directly by mountains. 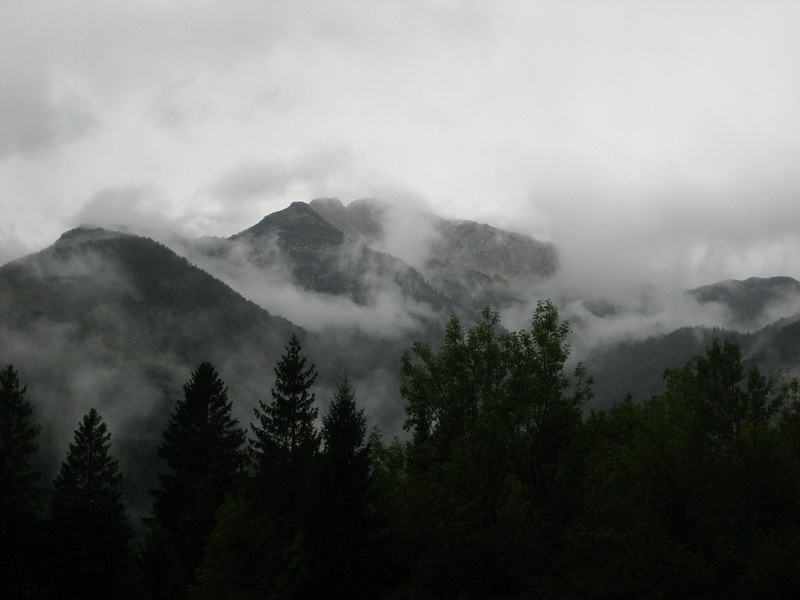 It was cold and rainy, the clouds hanging around the mountains, sometimes all the way to the bottom, like ripped white sheets. It took hours to walk around the entire perimeter, which was a great and flat hike. Toward the end I came to a huge cliff rising from the ground. 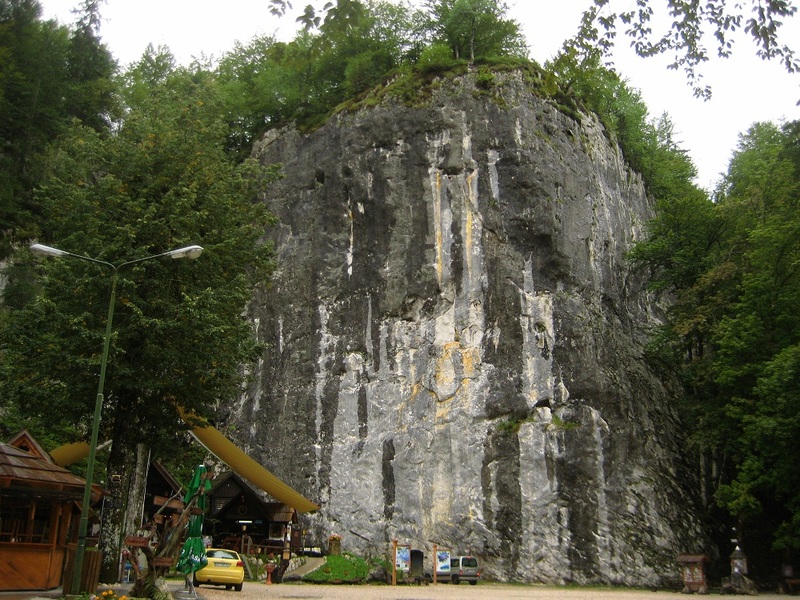 A pizza place called Pad Skalco leaned against its base. “Pad Skalco,” translates to “below the cliff.” Alas, I went on and found a cheaper place to eat, as this one charged twice as much as a normal restaurant for the privilege of eating against its awesome backdrop. Ribno is a tiny but incredibly dense village of one lane streets twisting in hairpin turns right around the walls of houses. 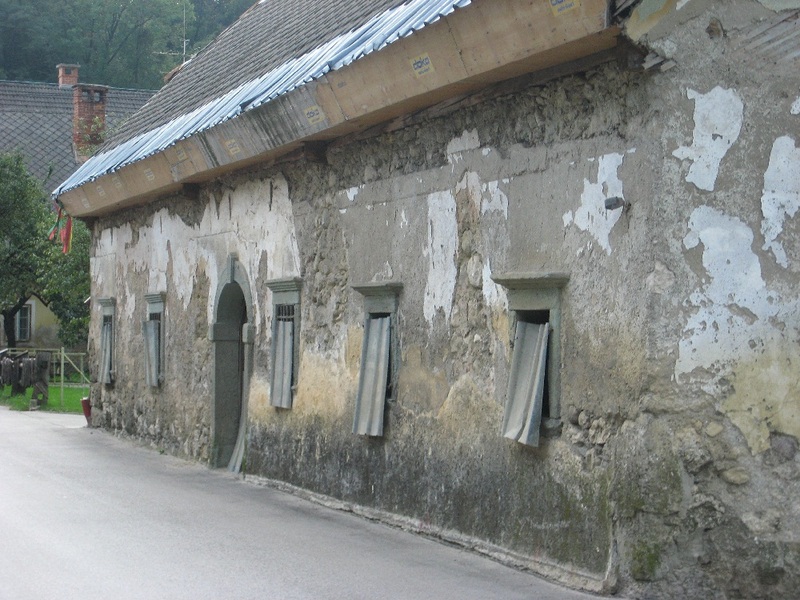 Every time we drove we were inches from scraping one of these walls, but somehow two cars always fit through. I got lost trying to find The Millhouse. I took a wrong turn at some unlabeled road and wandered like the blind down dozens of these narrow, hilly streets, hoping I would stumble into it. By chance I was picked up by Dorthe in her SUV as she brought back a girl from California who was staying at the hostel that night. She and I then got dinner at one of Ribno’s two restaurants, and at the end the waitress gave us complementary shots of in-house honey liquor, extremely delicious stuff. Whether it was just my tourist status, every interaction I had with Slovenians sealed my impression of them as the nicest people I met. 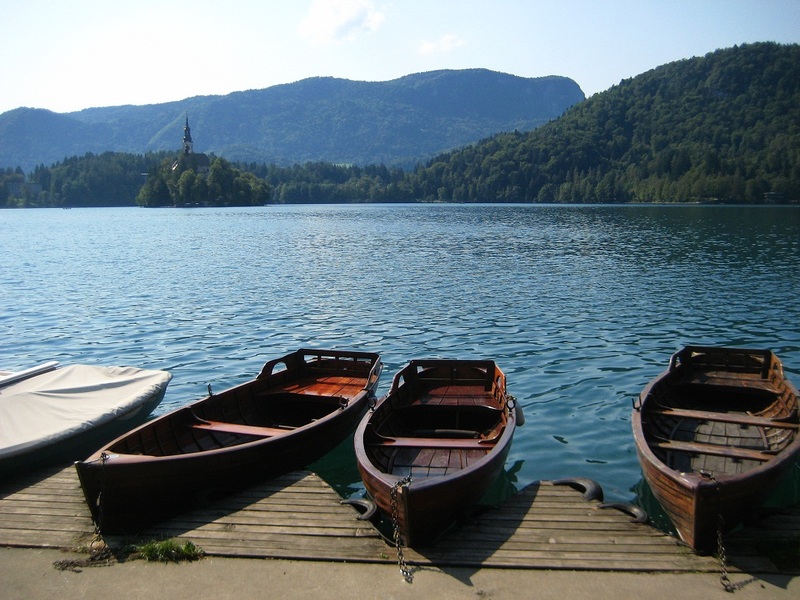 At the end of my time in Bled (four days is plenty), I found myself at a crossroads. I could go to Italy and meander back into Spain for my flight out of Madrid. Or I could go back north and spend more time in my favorite places and see friends I wouldn’t have another chance of seeing in who knows how long. In the end I figured, I’ll save Italy for another trip and give it the good long time it deserves, and so I turned around and caught a train back into Slovakia.